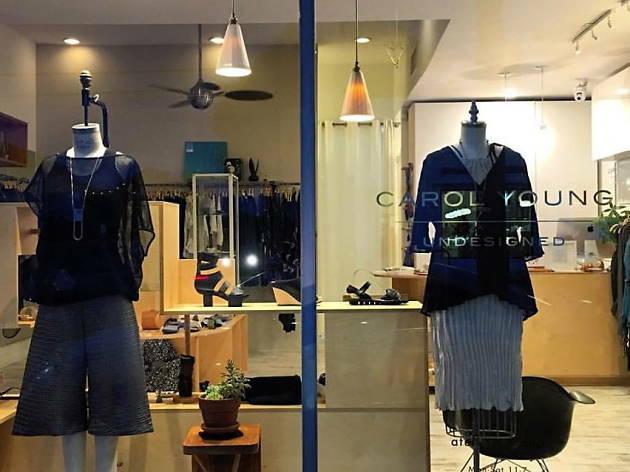 While designer Carol Young found inspiration in places like New York and Asia to dream up her eponymous label in 2003, the native Angeleno's sustainable, evergreen wear is undeniably LA. 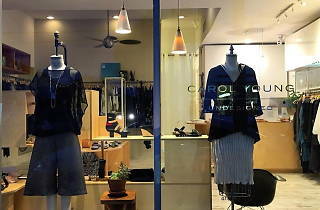 Handcrafted in Los Angeles, Young's textured, figure-flattering collection of dresses, tops, pants, sweaters and more adorn the racks of her Los Feliz boutique. From patterened wrap dresses to A-lined tees to cropped denim leggings, the line embodies care-free sophistication with a worldly flare. Check out accessories like shoes, totes and jewelry from a curated mix of designers like Boet, Alyson Iwamoto and Knobbly Studio to complete the look.